This city has a very laid-back, beach vibe. The climate is similar to San Francsico’s (especially with the rolling fog in the morning) and Santa Barbara’s summers. The endless hills are like San Francsico too. In fact, foreign sailors used to call it “Little San Francisco”. 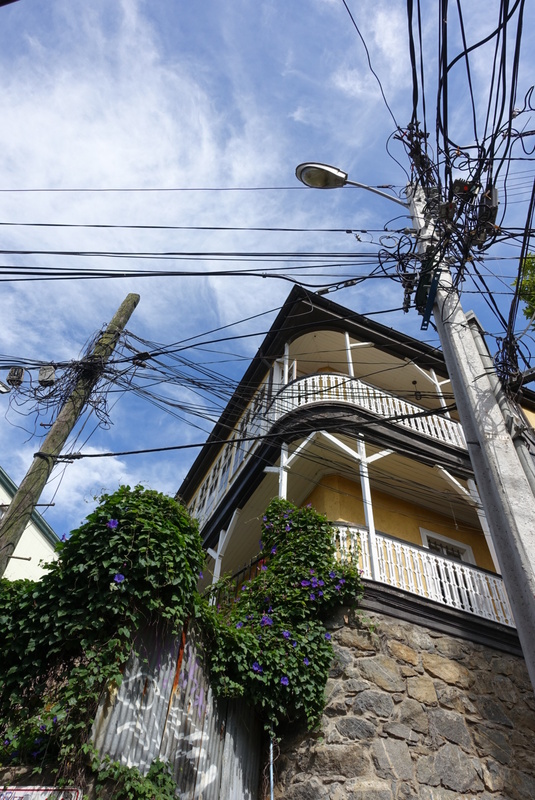 Valparaíso looks like someone just scattered houses randomly on the hills (cerros), painted them with random bright colors, and tangled up some electrical wires next to them (yes it’s a fire hazard and they have a big problem because of it). This city was a small town until the California Gold Rush. To get to California back in 1849 (49ers! ), the Europeans had to go around Cape Horn and make a stop in the port town of Valparaíso. This resulted in a very diverse community with immigrants from all over Europe. Because the city grew so rapidly, they had to expand into the hills. The construction adapted to the natural environment. The homes were built into the hills- so some houses can be four stories on one side and one story on the other. They created funiculars/ascensors as transportation to the top of the hills. 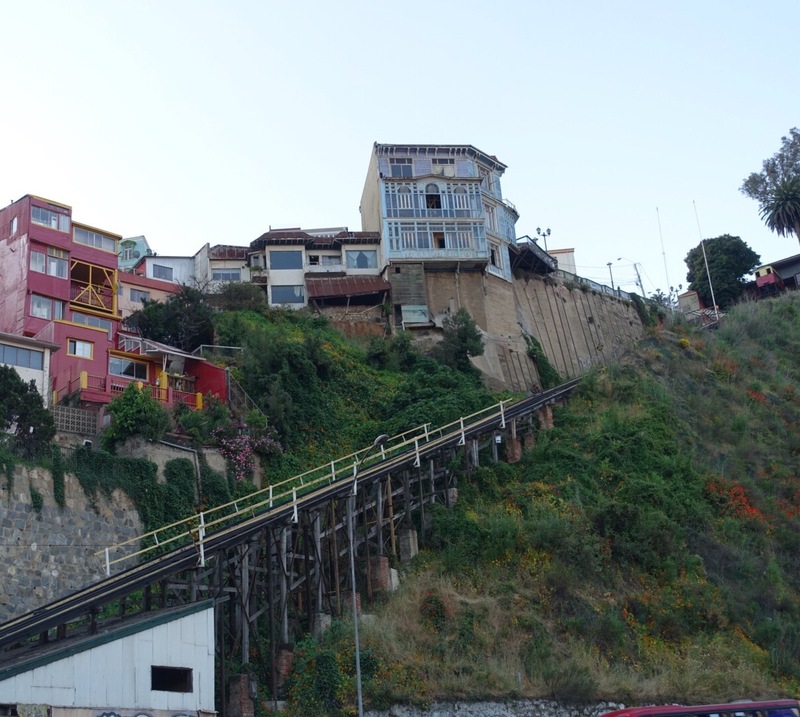 Also, as a port town, Valparaíso utilized readily available ship materials to build their homes. Ships used these metal sheets as ballast and the porteños (people who live in Valparaíso) would take these sheets to cover their homes to protect it from discoloring and falling apart. Then they realized that the metal rusted especially in the ocean air, so they painted over it. However, paint was expensive back then, so they would use whatever paint was leftover from painting ships. Back then, ships were painted with bright colors so it could be spotted from afar and that’s why these hills are so bright and colorful! The city flourished and remained an important seaport until they opened the Panama Canal in 1914. 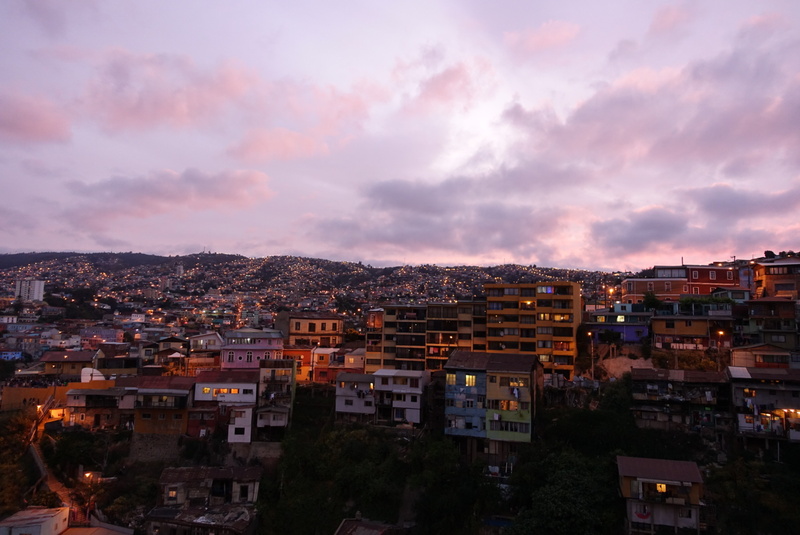 People didn’t have to stop in Valparaíso anymore and the city’s economy quickly fell apart until it became an UNESCO Heritage site in 2003. 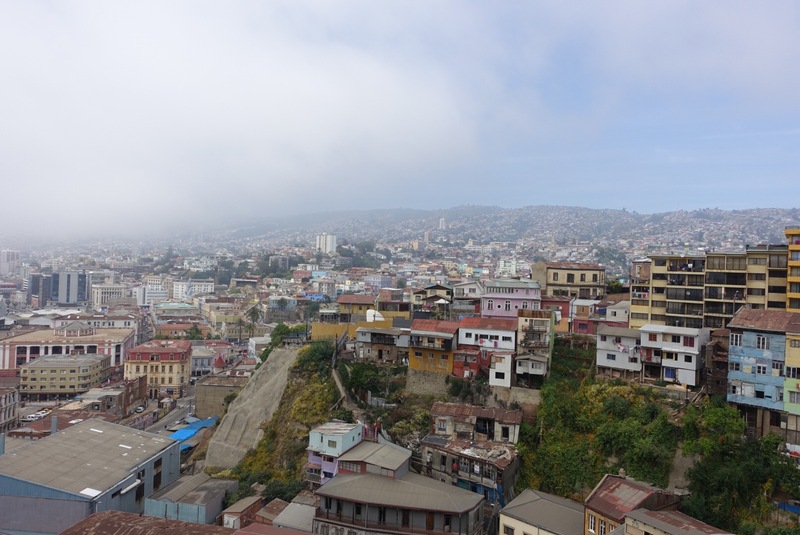 That’s the general history of Valparaíso we got from our awesome free walking tour Tours4Tips. It’s also known for its navy, Latin America’s first stock exchange, first all volunteer fire department (it still is! ), the first Spanish newspaper, having the first non-Catholic church in Chile, and many other things. They have a fire dept for each country of immigrants that moved here. This is the German fire truck. People here are supe nice and friendly, it’s easy to fall in love with this town!